All are welcome to this special service of Holy Communion for rostered ministers and lay leaders. While traditionally held during Holy Week on Maundy Thursday, we have moved it up to Tuesday to facilitate your participation. It is a time for you to receive, to gather together with colleagues for “prayers and thanksgiving” and to receive from God the forgiveness of sins, life and salvation. You will receive oils that can be a tangible sign of God’s healing of the world. The use of oils (Chrism) is mentioned often in scripture. This religious service has been held in Lutheranism to bless the oils that are used by you for anointing in baptism, confirmation, and services of healing. 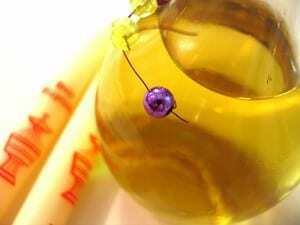 In addition, oils are used in the consecration of deacons and ordination of pastors. We hope you are able to join in this service. May your Lenten Journey continue to lead you to the Cross and onward to the empty tomb.